Vegetables crops and many other economic plants have many enemies but among the so called “enemies”; none of them has its effect detrimental as weeds. Unlike any other enemies, the conditions that favour crop growths also favour weeds growth which is the singular reason why they are difficult to control. 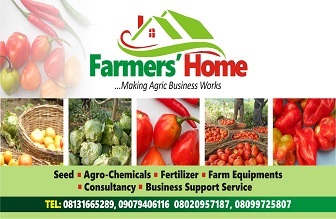 Allowing weeds to thrive on a farm among crops is an invitation to losses that would inadvertently stem from poor yield, poor quality produce and diseases/insect infestation. Controlling weeds nevertheless involves a lot of strategies and techniques. I would be discussing in this article ways/techniques you can use to control weeds and limit weeds competition both conventionally and organically. In most cases, many of the weeds seeds are dormant and will not germinate until triggered by environmental or physiological signals: the same conditions that trigger your crops germination. Although, seeds can remain dormant for years or decades in some cases, weed pressure during the cropping season can be reduced through practice that deplete those seeds that would readily germinate before crop planting. This involves the tilling of the Soil follow by, if need be, the making of the beds 20 to 30 days before crop planting. 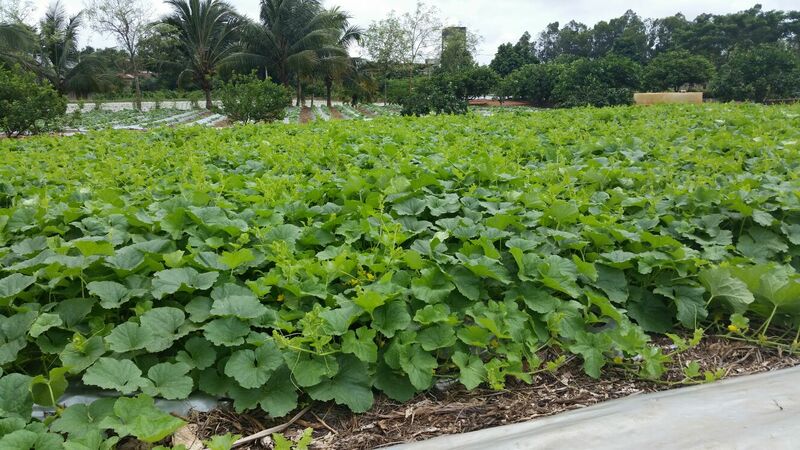 More so, it is important to wet the tilled field or the beds during the dry season. The logic behind this is that some weeds would start germinating almost immediately. Weeds that germinated during the delay period are killed shortly before seeding using flaming, moving, shallow tillage for organic farming and spraying of post emergence non-selective systemic herbicide for conventional farming. 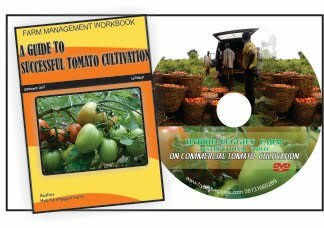 This method is particularly important for some crops that are slow to grow and not very competitive with weeds such as onion, carrot etc. This method is often reserved for conventional farming and particularly for direct seeded crops. After tilling the field and bed making, the seeds are planted almost immediately. Germination of the seeds obviously would coincide with weeds germination which would occur almost simultaneously. A week into germination of the crops while they are still small, the seedlings are covered with transparent disposable cup one by one early in the morning before sunlight; after which the field can be sprayed with post-emergence non-selective contact herbicide. The logic behind this is that the cups serve as shield protecting the crops from the herbicide. Remember that in this case; only contact herbicide should be used to minimal losses (seedling death) that can occur due to errors. This is the practice of covering soil with plastic mulch for several weeks (say 4 weeks) in the summer to kill plants and seeds underneath. After the plastic is removed, crops are planted immediately or the ground is left fallow till another planting season. Please note that the intense and or the degree of weeds/weed seeds killed is proportional to the length of the time the plastic mulch stay on the bed. This is effective at killing annual and perennial grass whose seeds are mostly close to the surface of the soil but not effective against shrub or tree capable of germinating from great depth. Please note: Use black plastic mulch instead due to it ability to absorb heat; a phenomenon needed in this case. This technique may not be practicable on a large scale but can be adopted on an organic farm. The rationale behind weed management with mulches is to deprive emerging weeds of light. Mulching material could be from synthetic source such as polyethylene (plastic) or natural source. This technique is different from the use of ordinary mulch above. The strategy of using living mulches (also refer to as intercropping, inter-seeding, and strip-mulching) is to plant a cover crop that will out-compete weeds while not interfering with crop growth and yield. Using this method, there is a thin line between weed suppression and crop suppression by the living mulches which make it impractical in most cases. For example, a combination of watermelon and Okra can go together however, one must be crawling plant while the other (non-crawling) standing plant which in most cases should be planted before the crawling plant. Good example of living mulch with beneficial nutrients bank are legumes, alfafa etc. Allelopathy refers to the effect of one plant on another through the release of chemical compound into the environment. Examples of allelopathic crops are rye, oat and mustard species. This is an important component of integrated weed management system. This is often the source (extract) of biological herbicide use in suppressing weeds when applied. Crops: Alfalfa, asparagus, bean, beet, broccoli, cabbage, corn, cucumber, potato, rice, tomato, sunflower etc. One crop could pose and interference against proper growth of another due to competition for resources. Physical interference includes competition for light, water, nutrients and other resource. This involves the use of no-till production and strip tillage methods. Tillage often exposes many weeds to light and moisture thereby triggering germination. Reduce tillage can reduce germination of some weed species however continuous reduce tillage can lead to shift toward perennial weed species thriving also. This involves the use of flaming, hot water and steam. This works by breaking the plant cell membranes leading to plant death when damage is in excess. Corn gluten meal and clove oil are the most commonly available organic herbicide. Corn gluten must be applied as pre-emergence as it has no effect on post emerged weeds. It is non-selective and it often inhabits root development of seeds after germination which often leads to moisture stress in said crops. If you enjoy this article, do like us on FB and follow us (Hybridveggies) on instagram. Thank you.